We were only 55 miles in when it happened. This was a trip that has been in the works for a year. Anyhow, 72 hours gave us just enough time to drive from Portland, Oregon, along the gorgeous Columbia River Gorge National Scenic Area, up through the valley and into the high desert before veering Northeast towards the Palouse in the eastern part of Washington State along the border of Idaho. We were especially excited because we were also planning on shooting some 360 virtual reality video of the entire experience for Superswell VR. 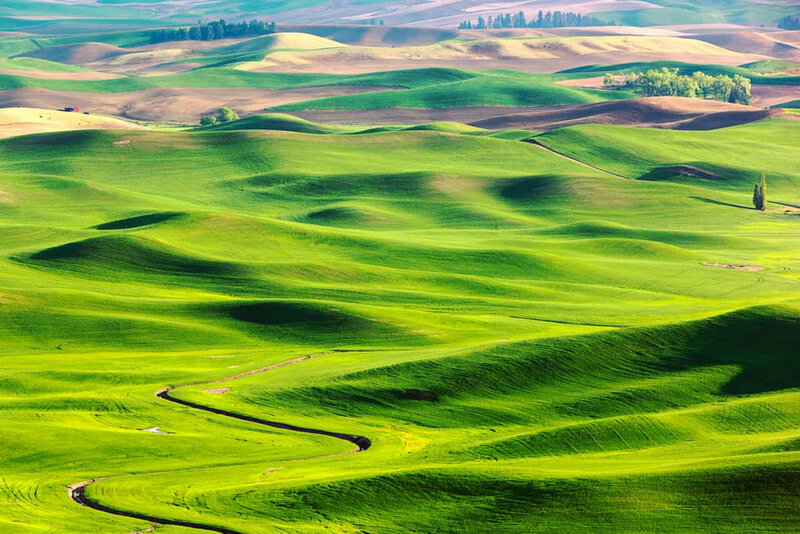 If you’re not familiar with the Palouse…just Google it. It’s been on my photographic bucket list since it was put on my radar about a decade ago, and this seemed a perfect opportunity being as how it was just within range of a full ‘tank’ of electricity on a Tesla Model X. 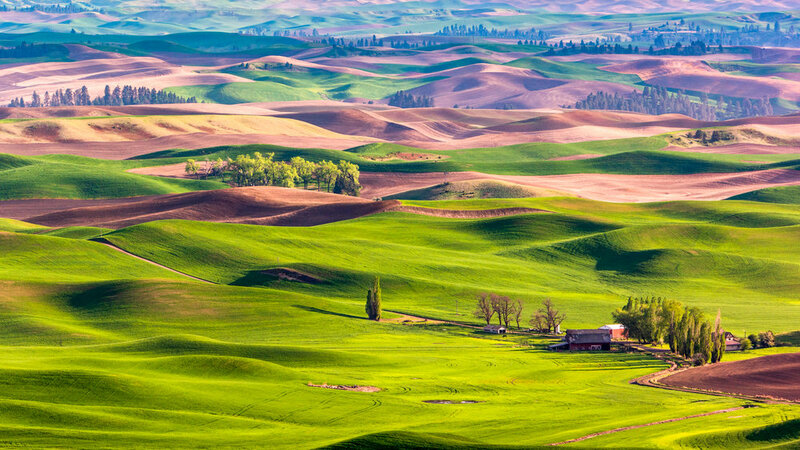 The region is a seemingly endless landscape of rolling green and purple and brown and red and yellow hills that make up a primary part of the agricultural region of eastern Washington State. The textures, the landscapes, the shadows, the contrasts…they all make for a photographer’s playground, and we were ready to play! 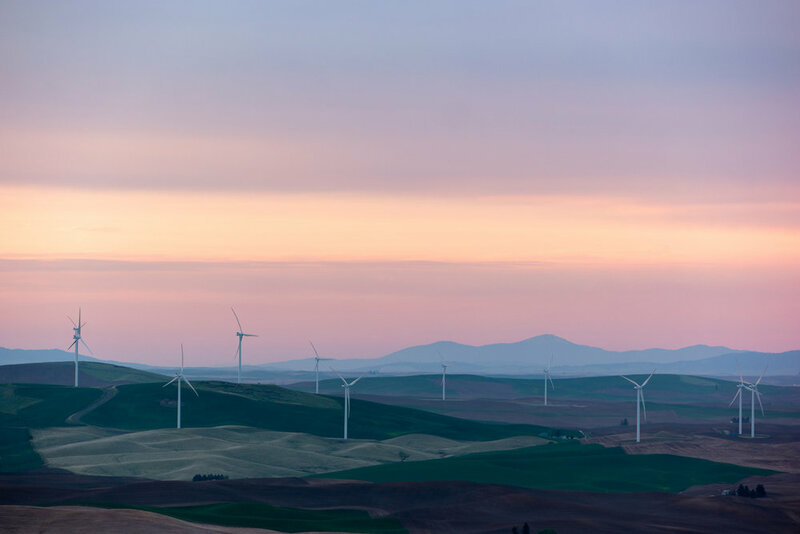 As our excitement level began to reach a peak as we approached The Dalles on the Gorge, where we planned to top off the tank at a Supercharger while grabbing lunch, the car, which is the most incredible machine you can ever drive, began to beep. And then it beeped louder. And then a large red icon popped up on the dash indicating that there was only 2psi in the front driver tire. Basically, we got a flat. Ok, no big deal...right? Put the spare on and get to the Dalles and have it patched right? Apparently, these buggers don’t come with a spare. To be fair, it’s not just Tesla, it seems like no electric cars at the moment are currently equipped with a spare tire. This is exactly your job. This is what you’re supposed to do! Anyhow, stuck on the side of freeway, we had no choice but to make the call to Tesla themselves, who suggested sending out their tow truck to tow it back to Portland, and swap us out with new car. TOW IT 60 MILES BACK TO PORTLAND FOR A FLAT TIRE!?? No…just, no. This is when we suggested just sending a new car on the flatbed so we can simply swap it out on site, saving a solid 3 hours. Being as how it was already 4pm at this point, and we still had 4 hours of driving, that seemed to make more sense. Thankfully, they agreed. But then, another curveball. As we stood on the side of the road admiring what was now a useless 100 thousand dollar piece of steel and lithium-ion, a construction crew began to drive by and cone off the 1 lane, the closest to the shoulder. We were now in a construction zone as a paving crew began making their way towards us. This was when the sheriff got involved, who was insisting we needed to get the car moved for the construction crew. We told him our situation and expressed how much we’d LOVE to be able to move the bugger, so he decided to get on the phone on our behalf with the tow company. You KNOW things aren’t going to go your way when even the sheriff couldn’t convince them to come out and move the car. We were now effectively in a race between the Tesla tow truck showing up and the construction crew full of gravel meandering mere inches from a loaned Tesla Model X. And the sun was about gone. First stop, the town of The Dalles just 13 miles up the river for dinner. 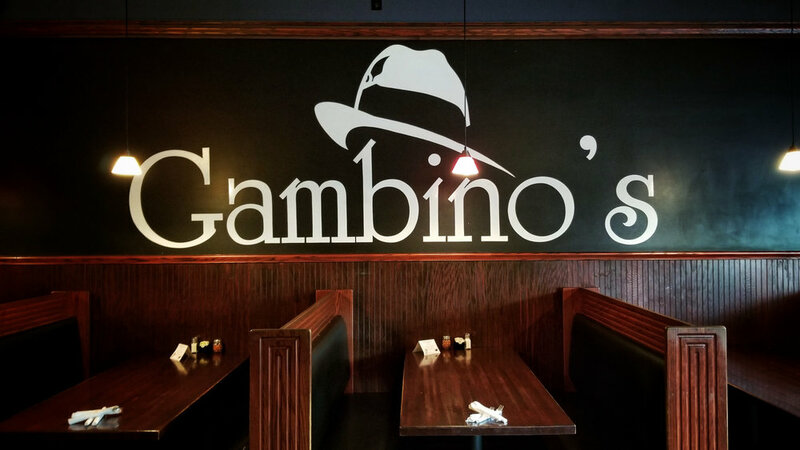 Once finishing our first meal of the day, we were now ready to drive through one of the most gorgeous parts of the Pacific Northwest…in the complete dark. While the car itself is BEYOND a joy to drive, there was plenty of intentional cold air blasting in the face, slapping myself in the face, and revving up on gas station coffee to do the thing. After finding a Supercharger around Kennewick, Washington, about halfway through the trip, and sat for around 45 minutes to fill the sucker up, we finally rolled into our Airbnb at about 4am, and to Idaho’s credit, our host woke up to greet us! 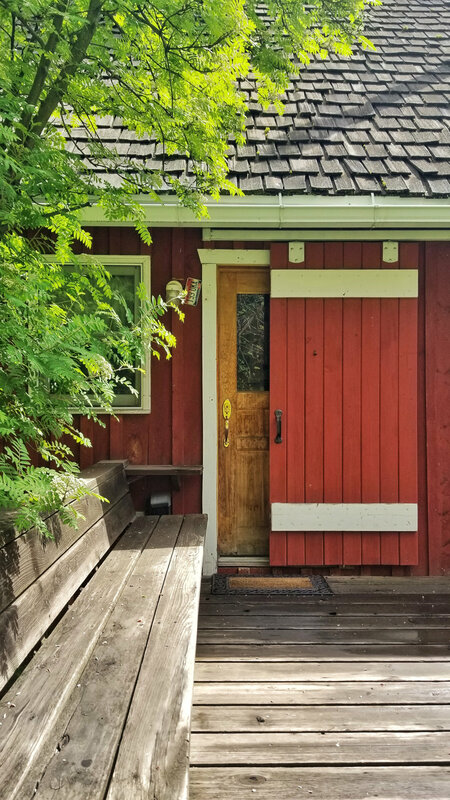 After finally passing out around 4:30am and getting a solid 3 hours sleep, a woodpecker decided to repeatedly slam its face into the wooden cabin’s walls inches from our eardrums. Ok fine, these are all essentially champagne problems. I get it. 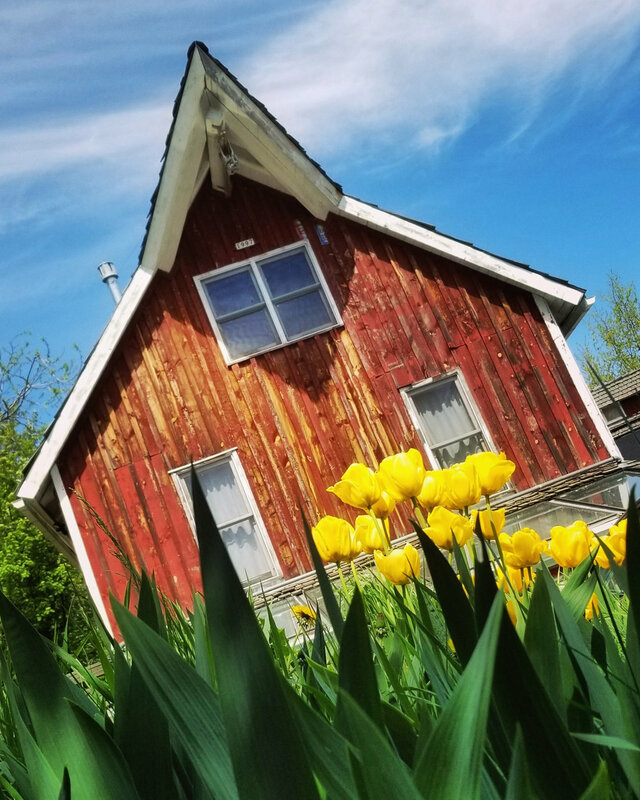 I’m complaining about a free Tesla road trip and a charming A-frame cabin in Idaho. 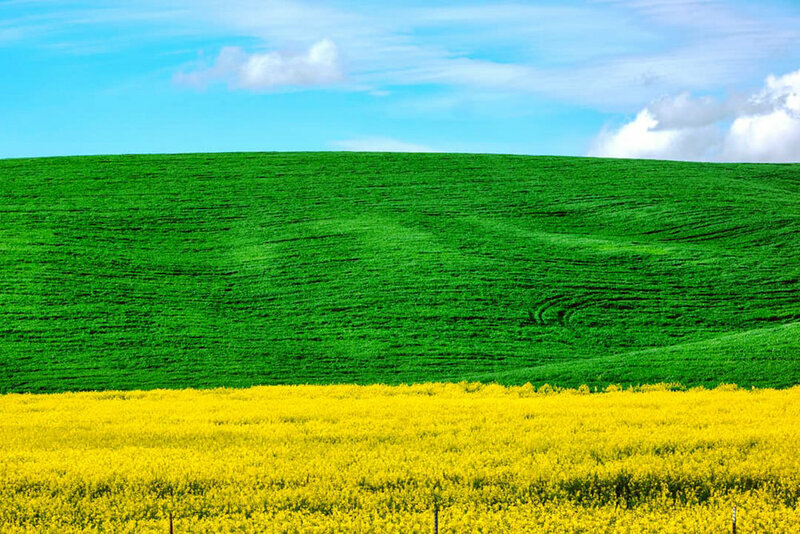 Buck up, you’ve got a full day to go do the thing you came to do…photograph the Palouse! Well, that is, of course, after finding a charger. 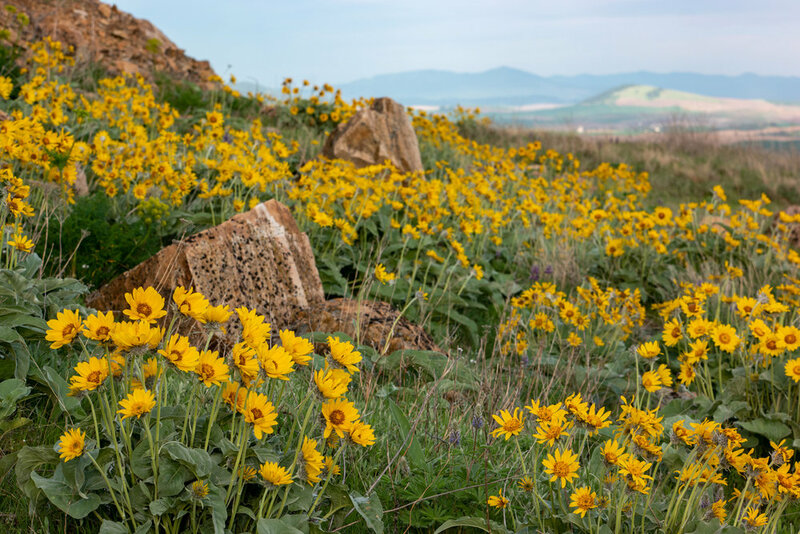 We were led to the University of Idaho campus, found one of 2 charging stations, plugged the bugger in, and walked around campus a bit to grab some photos and chow down while we waited about 2 hours for enough miles to get us to Steptoe Butte, our destination for the afternoon light. 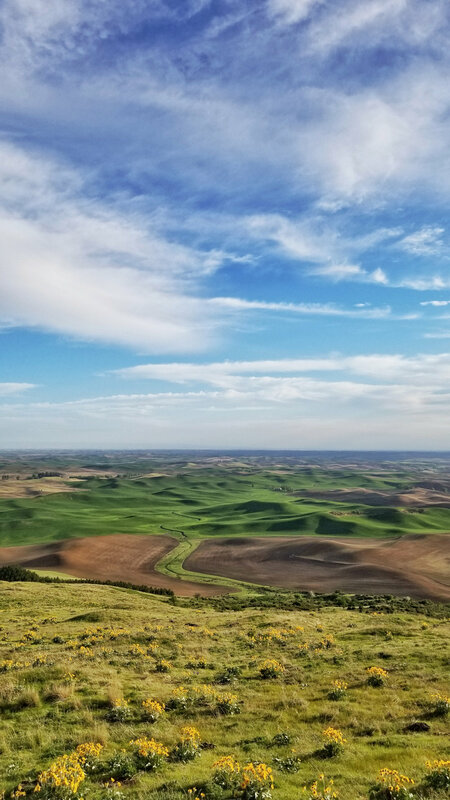 Steptoe Butte is one of the highest points in the Palouse and offers you a 360 degree view of the entire region - rolling hills of every shade of pink and blue and green and yellow and brown as far as the eye can see. Unfortunately the weather wasn’t cooperating with us fully - there was a deep haze on the horizon as rain-clouds were beginning to make their way to the region, so we only found about a 15-20 minute window where the sun broke through the clouds, allowing us to capture at least a few frames of the legendary contrasts that define this landscape. As we rolled back to the cabin, we figured we’d just plug in at the crib and have a full ‘tank,’ in the morning to get us most of the way back to Portland. Our host, who drives a Nissan Leaf, another electric vehicle, left us a cord in the driveway. We plugged the bugger in and off to sleep we went. We woke up refreshed and ready in the morning, but apparently the car, yet again, had other plans. Apparently we blew a fuse at the cabin instead. Granted, this wasn’t the car’s fault, but what it did mean was that we had no charge…so once again, we found ourselves at a charger behind a local motel, left the thing plugged in for a couple more hours to load up just enough juice to get us back to the nearest Supercharger in Kennewick on our ride back. Thankfully, we made it with 21 miles to spare. The remainder of the trip was without incident as we drove our way back along the Columbia River Gorge and back into Portland, arriving home sometime around midnight. All in all, it was an adventure. There were certainly things - some good things, some bad things, some stupid things. But ultimately, it was an experience. And for me, someone who bought a hybrid (a 2008 Nissan Altima) back when they were first beginning to appear on the market to help support the future of sustainable transportation, it was a test to see if I was ready to take that next step and go all-electric. And I must admit, it pains me to write this as I have been, and still am, a major Tesla and electric car advocate, but after that experience, I’ll probably be pulling my Model 3 deposit until the infrastructure is a bit more stable and built out. If I was using this just for a typical commute in a city from work to home and errands and short trips, or if I could afford to have two cars - one non-electric as a backup - no problem, but the nature of my work, which is photography, videography and virtual reality production, has me driving all over the place, often on long road trips such as the above, and right now, it’s just not practical for those purposes. The infrastructure is not ready. While I love Elon Musk and I’m still a HUGE fan of Tesla and the sustainable clean energy movement as a whole, this trip certainly demonstrated many of the limitations of driving an electric car in 2018 if planning on taking lots of road trips. 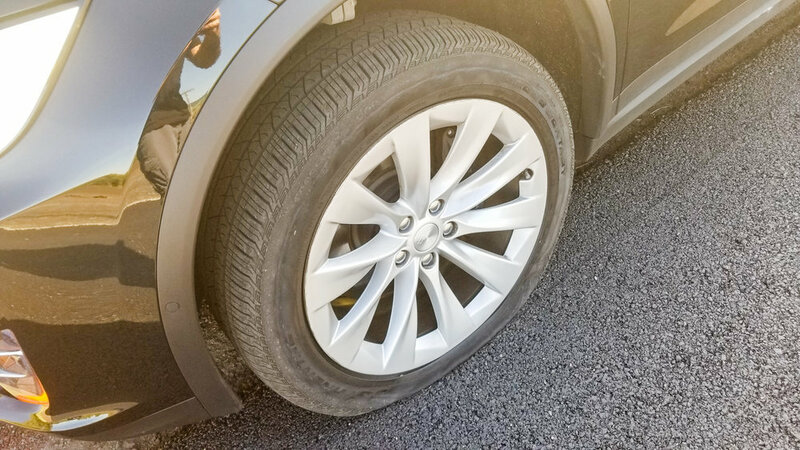 In the cities, you’re perfectly fine - you’re always within range of a charger (and a spare tire), but if you’re out of city limits, things begin to get more challenging. Tesla’s barely a decade old, and what they’ve accomplished, wholly on their own, in that time frame, is nothing short of INSANE. But at the very least Elon, for the love of Mars, please add a spare tire. Until then…I think I’ll stick with my 2008 hybrid for a couple more years.